Thank you for voting us #1 - Best Bank in Columbus! Out of more than 30,000 area businesses and tens of thousands of organizations, the Columbus community voted for their favorites to be named a 2018 CBUS Top Pick. That's a big deal! The Columbus Dispatch asked Central Ohio to tell them who they count on - day in and day out - for products, services and entertainment. To tell them which companies are the best of the best. 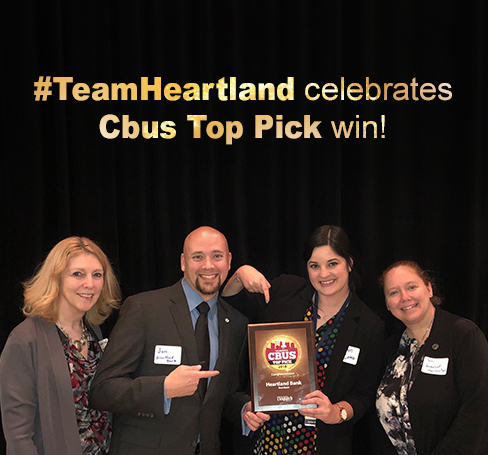 Nearly 250,000 votes were cast this year and Heartland Bank topped the list of banks in Central Ohio.